Greenpois0n Jailbreak Released For Mac + iPod Touch 2G | Johns iPhone | iPhone Blog with Help, News, Tutorials, Tricks, Tips, and More! The Greenpois0n jailbreak for iOS 4.1 was recently released for Windows and Linux, but they did not release it for Mac. They were working out a few bugs. 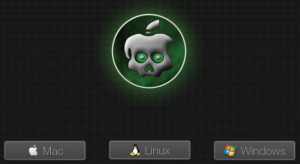 Today, they released their final version of greenpois0n and it works not only on Windows and Linux, but it works on Mac as well. This is not the only good news. Before, this jailbreak only worked for the iPhone 3GS, 4 iPod Touch 3G, 4 and the iPad. With the final release of the greenpois0n jailbreak, it can now jailbreak the iPod Touch 2G. This is great for those of you with an iPod touch 2G, that were not able to get the redsn0w jailbreak to work. Oh yeah, almost forgot to mention that this greenpois0n jailbreak will soon be able to jailbreak the Apple TV. Who knows what a jailbroken Apple TV will bring to us in the future… If you have an Apple TV you will need a micro USB cord to jailbreak it. I am about to purchase mine today from amazon. Click here to buy one for cheap. What if u have 5.1? How do u jailbreak?